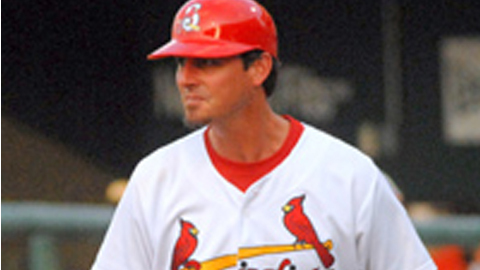 MEMPHIS, TN - The St. Louis Cardinals and Memphis Redbirds announced on Monday that Ron 'Pop' Warner will take over as manager of the Redbirds in 2012. Warner has spent the past five season as manager of the Cardinals' Doube-A team in Springfield, MO. While with the S-Cards he went 364-347 (.512) in the Texas League. This will be his first time as a manager in the Pacific Coast League. The 41-year-old replaces outgoing manager Chris Maloney, who was promoted to first base coach with the St. Louis Cardinals. Maloney led the Redbirds to a 367-350 (.512) record in his five years as manager, becoming the club's all-time winningest manager as he surpassed former skipper Gaylen Pitts (364 wins) this past season. Joining Warner will be pitching coach Blaise Ilsley and hitting coach Mark Budaska, who both return to Memphis for their fifth season. Ilsley's pitchers posted a 4.10 ERA, the lowest in the Pacific Coast League. Budaska coached the hitters to a .270 average last season. Athletic Trainer Chris Conroy will also be back in the Redbirds dugout for his eighth year in Memphis. The Redbirds begin their 13th season on the road as they head to Oklahoma City to take on the RedHawks Thursday, April 5th at 7:05 p.m. The 'Birds will kick off their Pacific Coast League home schedule on Friday, April 13th at 7:05 p.m. when they welcome the RedHawks to AutoZone Park. For ticket information visit memphisredbirds.com or call 901.721.6000. Global Spectrum (global-spectrum.com) manages the Memphis Redbirds, as well as nearly 100 other public assembly facilities around the world. Nearly 20-million people attended more than 11,000 events in Global Spectrum venues last year. Based in Philadelphia, PA, Global Spectrum is part of Comcast-Spectacor, one of the world's largest sports and entertainment companies. Comcast-Spectacor also owns the Philadelphia Flyers of the National Hockey League, the Philadelphia 76ers of the National Basketball Association, Ovations Food Services, a food and beverage services provider, New Era Tickets, a full-service ticketing and marketing product for public assembly facilities, Paciolan, the leading provider of venue establishment ticketing, fundraising and marketing technology solutions, Front Row Marketing Services, a commercial rights sales company, and Flyers Skate Zone, a series of community ice skating rinks. In a partnership with Disson Skating, Comcast-Spectacor annually produces eight nationally televised figure skating spectaculars on NBC-TV.